Online booking using our Email Pay feature. Newmark contacted us to help them improve the customer experience around online payment. They are using Site Minder as their booking engine and were looking at integrating the payment through their platform. PayGenius developed a system that recovers the booking details and automatically emails the customer a pre-populated payment link. 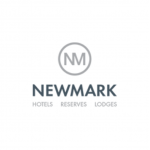 Upon payment, the customer and Newmark receive an email notification. Newmark can monitor payments on the PayGenius dashboard, resend payment request when required and export a summary of transaction at day end to import into their Opera platform.